Today many families are choosing cremation as an alternative to traditional burial; and there are several ways to create a lasting memorial for loved ones to visit. San Jacinto Funeral Home & Memorial Park offers an extensive selection, including pedestals, granite memorial benches and cremation niches. 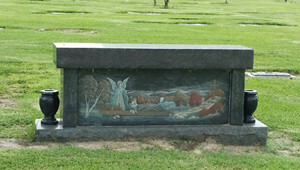 Solid faced cremation niches are located throughout San Jacinto Memorial Park. 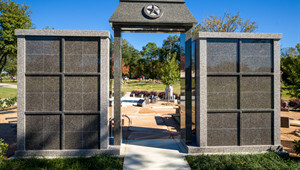 These niches, crafted in beautiful reflective granite, offer a moderately priced lasting memorial. San Jacinto Memorial Park is proud to offer a wide array of pedestal memorials. 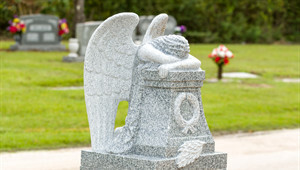 Whether you’d like a butterfly in granite, or a water fountain, our advisors will help you create a memorial your family will be proud of for years to come.